Philosophy - Loos & Co., Inc. 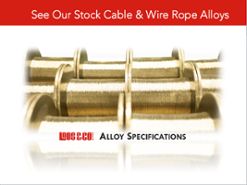 The mission of Loos and Company is to manufacture specialty wire and cable products for critical applications that demand the highest standards of performance and quality. Since the beginnings of the company in 1958, Loos has been the industry leader in the development of products for such critical applications as aerospace flight controls, elevators, rescue hoists, earthquake bracing, rigging, scaffolding, automotive controls, and exercise equipment. 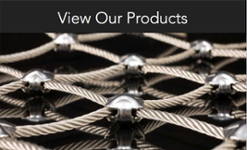 Loos and Company actively seeks to manufacture specialty products that are beyond the expertise of its competitors. 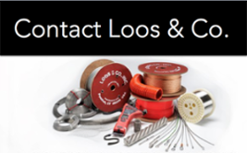 Loos and Company is built on a proud tradition of innovation in a seemingly old-line industry, steel fabrication. Over our fifty plus years of existence we have grown from a three car garage start-up to the acknowledged industry leader. Accomplishments like that only happen by doing things right. This attitude of doing things right extends beyond our manufacturing processes to how we act as a corporate citizen. We have long been committed to being a world class steward of resources and environmental integrity by limiting the impact we make on the environment. Please take a moment to view Loos and Company Green Initiatives that have reduced our environmental impact.